Our low carb Caraway bread's old-fashioned rye-like taste and great texture will instantly transport you to a classic New York deli with just one bite. This is a great rye-tasting bread without all the carbs. Simply Trudy's Caraway Bread is made from organic caraway, sunflower, pumpkin and flax seeds, along with a helping of fresh ingredients from Mother Earth like egg whites, water and a drizzle of honey. No GMOs, flour, refined oils or fats, chemical leavening agents, stabilizers or additives. Just pure goodness without the guilt. The clean recipes were carefully created to provide delicious alternatives for those who suffer from food sensitivities and digestive issues, or who are looking to avoid certain ingredients for a healthier lifestyle. Simply Trudy breads are always Low-carb, Gluten-free, Grain-free, Dairy-free, Yeast-free, Nut-free and Soy-free. They are naturally paleo, ketogenic, diabetic and celiac-friendly - and taste great! Why Choose Grain Free Bread? Most of the gluten-free products on the market are made with refined grains and starches that lack fiber and nutrients. Processed refined grains and starches often trigger undesirable health effects such as inflammation and elevated blood sugar and triglyceride levels. WHAT'S THE SHELF-LIFE OF THE BREADS? At optimal freezer (0° F) and refrigerator (35° F) temperatures, the breads keep about 8-12 months in the freezer and 3 weeks in the refrigerator. We highly recommend you keep these moist, nutrient-dense breads frozen or refrigerated to maintain quality and prevent spoiling. WITH SO MANY ALLERGENS LEFT OUT, WHAT EXACTLY ARE THE BREADS MADE OF? We are proud of the clean, GMO-free ingredient lists for these products. The breads are made from a variety of nutritious seeds, egg whites, seasonings and spices. A drizzle of organic honey is used to offset any bitterness that may result from the raw seed blend. The ascorbic acid, or vitamin C powder, helps maintain the volume of the egg whites. The breads are free of wheat/gluten, dairy, peanuts, tree nuts, soy, yeast, sesame, fish and shellfish. ARE THE BREADS GLUTEN AND WHEAT FREE? Yes. There are no wheat or gluten containing ingredients in these breads. They are certified by the Gluten Intolerance Group (GIG) which requires routine gluten testing that meet their stringent requirements. WHEN ORDERING ONLINE, CAN THE BREADS BE REFROZEN WHEN THEY ARRIVE? We ship our breads frozen with dry ice to keep the breads cold during transportation. Please freeze the breads immediately after your order arrives. WHY ARE THERE SOMETIMES ICE CRYSTALS IN THE BREAD BAG? Freezers are extremely dry environments. Ice crystals form inside packages due to a natural equilibrium process that aims to balance the moisture in the surrounding air. Ice crystals inside the packages of frozen food products are actually formed from water leaving the food. This moisture circulates within the package until it finds a cold enough surface onto which it can freeze directly into ice. 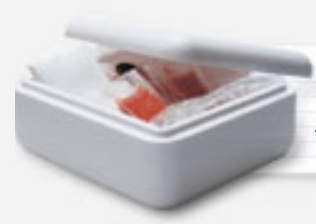 Although the appearance might make you think otherwise, frozen foods that have snow-like ice crystals in the packaging are perfectly find and safe to eat. WHY DO SIMPLY TRUDY BREADS COST MORE THAN OTHER GLUTEN-FREE BREADS? The high quality ingredients, such as organic eggs and seeds, simply cost a lot more than the starches and flours used in other breads. 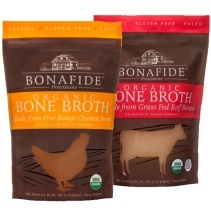 These products are certified gluten-free and made in small batches. We hope you agree that these breads, with their amazing taste, texture and nutrition, are worth the cost.